Peter Wilkinson is the founder of pioneering internet companies Planet Online, Sports Internet and Freeserve and has created an estimated 5,000 jobs over an entrepreneurial career spanning more than three decades. He is the owner of Inhealthcare, a four-year-old company which is working with the NHS to digitise care services across the UK. Inhealthcare is guest editing Digital Health Age this week to raise its profile among the readership community of healthcare professionals, fitness workers and tech enthusiasts. Its innovative services include self-testing for warfarin patients, chronic pain management, undernutrition and vital signs monitoring. The company is also expanding into mental healthcare with a new app to help people suffering from anxiety and low-level depression. Mr Wilkinson said: “I am passionate about Inhealthcare because I believe it has the power to transform healthcare and save billions of pounds for our much-loved NHS. We have invested a great deal of money in creating a national platform to enable remote monitoring for the entire population. It is ready to go, it is proven to work and it has everything going for it. To illustrate the point, he said there are around 1m people using warfarin in England. If each patient needs to visit the clinic once a fortnight for blood tests, this equates to 26m visits a year. With self-testing, most of these people could take readings at home and relay them safely and securely to a clinician. This could save around 26m hospital visits a year. Inhealthcare’s warfarin service has been rolled out in Durham, Wigan, the Isle of Wight, Hull and Ilkley. It has saved 21,000 clinic visits in Durham alone. Mr Wilkinson added: “This technology has the potential to save countless hospital visits a year and create a life-enhancing independence for many people. If you roll out self-testing services to other areas such as diabetes, nutrition, blood pressure, mental health and care homes, you could save hundreds of millions of hospital visits a year. 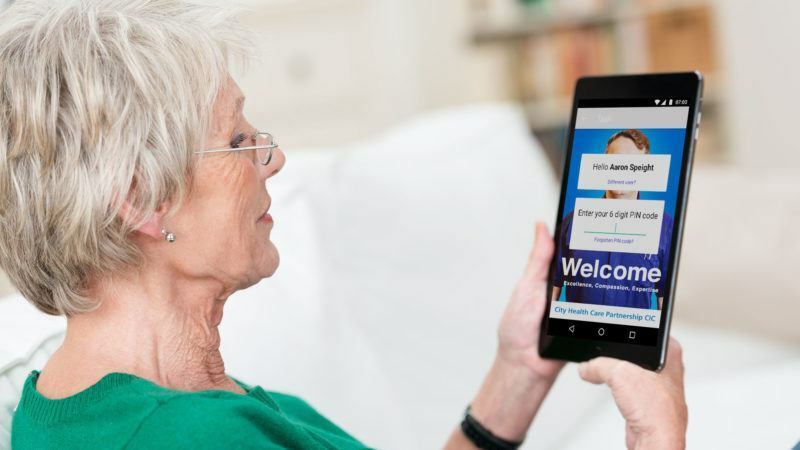 Inhealthcare is providing the digital infrastructure for the Government’s “test bed” project in Sheffield, which aims to help people with multiple conditions including diabetes, respiratory disease, hypertension and mental health problems. The company has also been selected to work on NHS England’s “healthy towns” initiative in Darlington. Look out for more stories by Inhealthcare this week as part of the guest editorship.